AMZN stock hit a record intraday high of $465.95 on July 14, the evening ahead of Prime Day. Shares finished up 2.2% at $465.57 on the day and an impressive 50.01% year-to-date. Tuesday marked a fourth-straight gain of at least 1% for Amazon stock — the longest such stretch since a four-session streak that ended Nov. 29, 2013. It remains to be seen if Prime Day will help continue the streak. Additionally, UBS analyst Eric Sheridan issued an upgrade from "Neutral" to "Buy" and boosted his stock price target by $100 to $550 (18% above current levels). That target is 17% higher than the average of $470.20, according to FactSet. The average rating is the equivalent of buy. UBS also raised its fiscal year 2015 and 2016 revenue and margin estimates for AMZN. 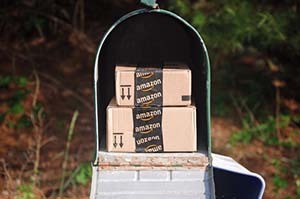 It said Amazon's fast-growing and higher-spending Prime subscriber base has increased the importance of selling Prime-eligible items. The push could lead to greater site conversion, increased annual spending per customer, and higher levels of gross merchandise value for Amazon. 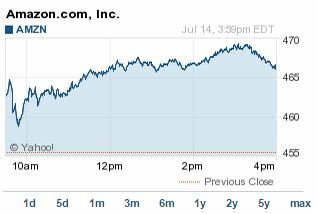 Stay tuned to Money Morning for Amazon earnings coverage later this month on July 23.